Belling the Cat Aesop tells us: NOT SO LONG AGO, a prosperous community of mice convened a general council to consider measures to deal with an approaching cat. After considerable discussion, a bright young and very well educated mouse was given the floor: “We all agree,” said he, “that our chief danger consists in the sly and treacherous manner in which this feline approaches us. Now, if we could receive some signal of her approach, we could easily escape before she presents any danger. Thus, I propose that we acquire a small bell and attach it with a ribbon round the Cat's neck. By this means, the sound of the bell will always alert us in time to take cover before she detects our presence.” This proposal met with general applause, and all the other mice complimented the speaker on such a splendid idea. The mice looked at one another in silence; and soon, the council chambers were empty. It is such a pity, because it was an excellent idea!!!! Ultimately, humanity should welcome Near Earth Objects (NEOs) as an excellent resource for constructing habitats in space. Towards this end, there will be a series of projects increasing in difficulty until we eventually gain enough experience to actually mine the asteroids and accomplish the construction. Thus, it makes sense to do the easiest task first and progress from there. TE arbitrarily assumes least difficulty for the task of transporting a radio beacon to a Near Earth Asteroid (NEA), and mounting it in such a way to enhance reception by Earth bound sensors. At first glance, this task seems sufficiently straightforward enough to be an excellent science fair project for enthusiastic students. Monitoring signal could teach a number of things about doppler effect, ranging. All projects require the collection of lessons learned for future missions. Subsequent projects require the review of these lessons as part of the project planning process. Thus, subsequent NEA missions could add beacons with enhanced capabilities. It's not surprising to find out that the professionals have been considering this "science project" for a long time. Perhaps ion or plasma propulsion can actually change an asteroid's orbit; there would a compelling reason to demonstrate how this concept if an asteroid was going to impact the Earth. Thus, NASA had a meeting of relevant experts (including: Dr. Edward Lu; Piet Hut, Institute for Advanced Studies; Rusty Schweickart, former astronaut) which led to the B612 Foundation. REASON: Asteroid approaches Earth in a couple of decades. In 2029, the asteroid, 2004 MN4, will pass within 4 Earth radii away (this is closer then many of our satellites; for example, geosynchronous satellites are almost 5 radii above Earth's surface). While close enough for a great show, there shouldn't be an impact; however, 2004 MN4 will pass close enough for the Earth's gravity to change its orbit. Thus, B612 Foundation is really interested in the asteroid's subsequent orbital path. Current calculations indicate that about 2035, 2004 MN4 will again fly near the Earth with a remote chance of an actual impact. It would be nice to know for sure. Put Transmitter on Asteroid Thus, there is a compelling reason to mount a beacon on 2004 MN4. It is only 300 meters in diameter; so, a radio beacon would be an invaluable tracking aid. Much like FAA's ubiquitous system of transponders on all large aircraft, NASA needs a radio transmitter on 2004 MN4 to monitor its exact location. Rusty Schweiker: "In the very unlikely case, this thing is going to hit us, this’ll tell you whether or not it will (most likely not); but, if in fact it is not going to hit us, you still have a very scientifically interesting mission out there. You can see what this thing is made of, what its surface structure is like, what it might be like to land on one of these things later, if you have to move another one. It tells you a lot about the properties of asteroids; so, this mission won’t go to waste ....."
Apothis approaches Earth in 2029 and returns in 2036. Tentative Schedule. The mission should launch around 2012/2013. If the probe takes a year or so to get there, then, you'll likely know within a year if the impact is imminent. If it is going to hit us; that puts us at 2015 with 14 years to do something about it (recall flyby Earth in 2029). Then, we get the compelling reason to put the plasma propulsion concept to work, a much more ambitious mission: "push" an asteroid into an orbit which won't impact Earth. It’ll take some years to prepare the spacecraft; get it ready to launch, test it; then, actually fly the mission. Apophis is an approximately 400-metre 'near-Earth object' (NEO), which will come closer than 36,000 km to Earth in 2029 - inside the the orbit of many satellites. On that pass, the asteroid will be gravitationally perturbed to an unknown orbit, one that could cause it to hit Earth in 2036. If Apophis passes through a several hund﻿ ﻿red-metre wide "keyhole" in 2029, it will impact Earth in 2036. With such a severe impact, it makes sense to augment Earth-based observations of Apophis with much closer sensor measurements to determine if a deflection mission is required. The tagging mission must complete before 2017 space agencies can determine if they must deflect the asteroid from the keyhole. Another Approach. Much like amateur astronomy has made enormous contributions to astronomy, there is plenty of room for rookie researchers to work this problem. The Planetary Society, non-profit organization dedicated to space research, conducted their Apophis Mission Design Competition, an open contest for best design of a tagging mission to mark and track Apothis. The Society paid $50,000 in prize money for the winning proposal. Bruce Betts, The Planetary Society's Director of Projects: "This competition generated creative thinking about tagging Apophis and stimulated greater awareness of the broader near-Earth object threat." A much bigger Near Each Asteroid (NEA) is hurtling towards the Earth, and NASA is considering sending a probe. 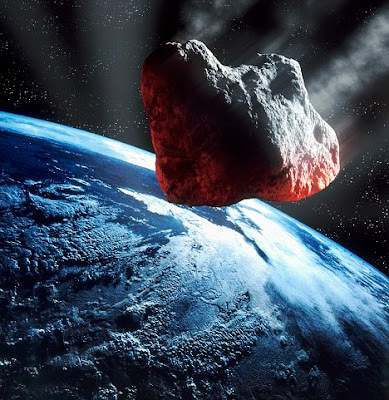 This asteroid , 1999 RQ36, has a slight chance (1-in-1,000) of hitting Earth before the year 2200, but the consequences of the collision could be severe, destruction equivalent to detonating hundreds of nuclear bombs. NASA has officially classified RQ36 as a "potentially hazardous asteroid" as it passes within about 280,000 miles of Earth. However, on the plus side, this proximity makes it easier to reach than other asteroids. NASA analysts predict the most likely impact date as September 24, 2182, but scientists want to forecast its trajectory more accurately. If NASA decides to proceed, the spacecraft could launch in 2106 to collect data from the 1,800 feet-wide asteroid. 1. Plasma propulsion to move asteroids. Chicken or egg analogy. Which task will will plasma propulsion do first? 2. Network of radio transceivers to monitor potential impactors even if too small to see or hidden behind Sol. 3. Metaphorically, putting a beacon on an asteroid is like putting a bell on a cat. Risk vs. Opportunity. Near Earth Objects (NEOs)present much more opportunity then risk. Most NEOs present absolutely no risk at all because their trajectories do not impact the Earth ever. These NEOs are pure opportunity to harvest at will; the only risk is that we'll refuse to harvest them at all. For the very few NEOs which will impact the Earth; they present an imperative for ASAP harvesting before they present any danger. 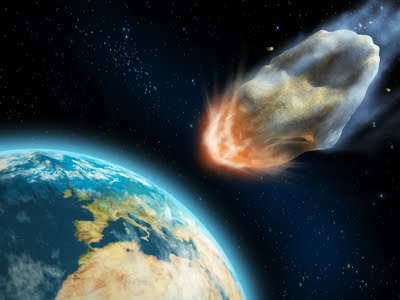 Asteroids have impacted Terra in the past (many times) and the chances are pretty good that more impacts are likely (or near impacts if our technology advances enough to avoid this Doomsday scenario). However, the probability of an impact during any particular year (in absence of observed data) is very slight, while the probability of NEOs passing near us will remain very great. These NEOs provide much more opportunity then risk. Simple logic will eventually compel relevant decision makers to realize that the source of materials for habitats in space must come from NEOs. At least, the initial habitats will need the mass from these NEOs. As humans build initial habitats from NEOs, then later phase of habitats will be able to use materials from further away asteroids. Thus,the ratio of opportunity vs. risk is very great vs. very slight. As the NEOs continue to pass by within range but without danger, they present opportunities, opportunities with great benefits. Purpose of the Asteroidal Volume is to suggest ways of exploiting this incredible resource for the benefit of all humankind. Purpose of this chapter is to present some background material about Near Earth Objects (NEOs), the most available asteroids and comets. There are numerous sources of NEO information available on the web, following is a very small sample of perhaps the better ones. 1. Study to Determine the Feasibility of Extending the Search for NEOs. In 1998, NASA joined the "Spaceguard" effort to discover and track over 90% of the near-Earth objects larger than one kilometer by the end of 2008. There has been good progress toward eliminating the risk of any large, undetected impactor which could cause global damage; however, there are many more objects with diameter less then 1 km. In 2003, NASA released a technical report on potential future search efforts for smaller near-Earth objects. Assuming that larger NEOs (greater then 1 kilometer in diameter) have mostly been detected, NASA tasked this report's Science Definition Team to determine ways to find smaller near-Earth objects (less than 1 km). Smaller objects could cause significant regional damage and constitute a long-term hazard. Thus, smaller objects are much less hazardous then larger objects; however, smaller objects are much more numerous and the likelihood is therefore much greater of an impact from a smaller NEO. Thus, the importance of detecting them is just as great as for the larger objects. Content for this report was produced by the Science Definition Team. chaired by Dr. Grant Stokes of the MIT Lincoln Laboratory. These 12 eminent scientists studied and stated the feasibility of extending the search effort to the far more numerous, perhaps hundreds of thousands, of near-Earth objects with diameter less than one thousand meters. 2. The Watch provides, as a public service, NASA's March 2007 NEO Report to Congress. ( 1) analyzes possible alternatives to survey near-Earth Objects (NEO), including groundbased and space-based alternatives with technical descriptions. (2) recommends prefered options and proposed budget to accomplish the survey program. .
(3) analyzes possible alternatives to divert an object on a likely collision course with Earth. While Near Earth Objects (NEOs), comets and asteroids, might possibly hazard the Earth someday in the distant future, they offer immediate, enormous benefits, their raw materials. It is not cost effective to mine these minerals and then bring them back to Earth. However, these raw materials could prove essential in developing spaceborne structures needed to explore and colonize our solar system in the twenty-first century. Mineral wealth in the belt of asteroids between the orbits of Mars and Jupiter could equal about 100 billion dollars for every person on Earth today. Whereas asteroids are rich in the mineral raw materials required to build structures in space, the comets are rich resources for the water and carbon-based molecules necessary to sustain life. In addition, an abundant supply of cometary water ice could provide copious quantities of liquid hydrogen and oxygen. It seems likely that when we begin to colonize the inner solar system, the metals and minerals found on asteroids will provide the raw materials for space structures, and comets will become the watering holes and gas stations for interplanetary spacecraft. 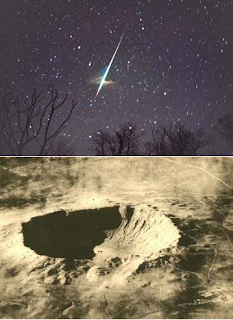 Reference: Lewis, John S. Mining the Sky: Untold Riches from the Asteroid, Comets, and Planets. Addison-Wesley, 1996. Today's technologies can detect, track, categorize, and intercept objects which cross Earth's orbit; they can also access their rich storehouses of materials. Thus, mining a threatening NEO may complement a deflection scenario of a NEO which hazards the Earth. This converts the distant NEO threat to a near-Earth resource. NEOs can supply materials for a wide range of operations both in space and on Earth, as they likely contain large amounts of water, carbon, structural metals, industrial feedstocks of many types, and precious metals. This resource has low overhead for use in space; some known NEOs would require lower transportation energy expenditure than lunar resources. Mining a NEO inherently requires, among other things, altering the mass distribution of the body during exposure, removal, and processing of the ore. These processes can deflect the body from Earth impact by altering its orbital characteristics. 1. Mitigation of a possible threat of NEO collision. 2. Ample resources for space exploration without expensive transport from Earth's intense gravity field. This allows sequential mitigation of the NEO in a controlled manner while providing the resources contained within the NEO for use either in space or on Earth. Both goals require optimizing many sources of knowledge. Two important ones are an extensive reconnaissance of the target NEO and the long history of terrestrial mining practice. Linked document discusses how current mining technology can adapt to mine NEOs, threatening or not. It summarizes our knowledge of NEO composition, physical properties, and mining and processing methods, and points out areas where further research, especially physical testing in space, is vital.